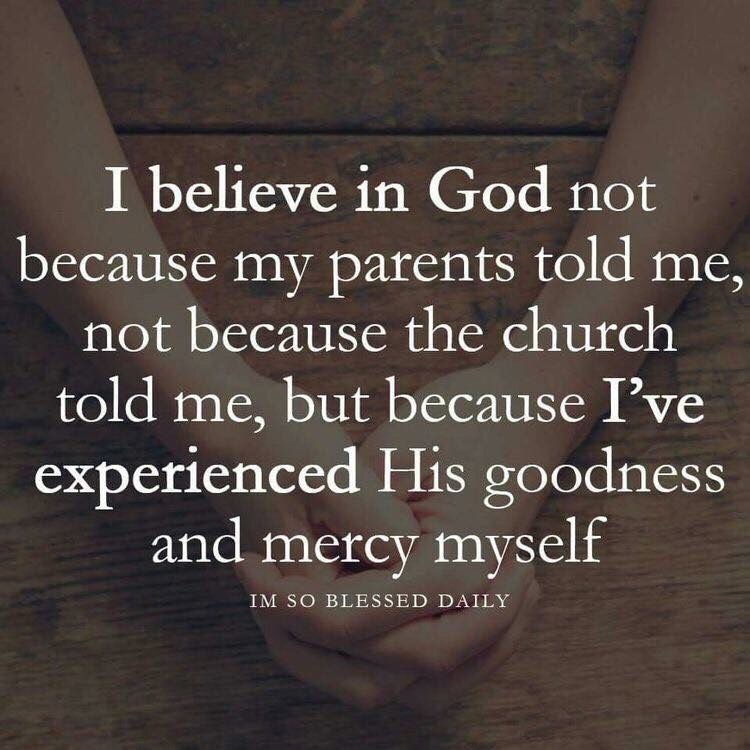 I don’t believe in God because my mother told me too! – Emily L. Pittsford….Author of "A Most Incredible Witness"
I don’t believe in God because my mother told me too! Growing up I couldn’t help notice my mother was a Christian. She would play hymns on her accordion and the piano. She listened to my prayers ever night, and taught me the Lord’s Prayer by heart. And I still have my children’s bible she gave me. I can still remember hearing the clicking of her high heels on the linolian floor in the kitchen on a Sunday morning. That meant we were going to church soon. We went to the church that was closest to us. A Protestant one where I grew up in Sunday school. While I accepted Jesus into my heart when I was nine, I don’t ever remember not believing. In fact at age six I remember asking my mother “how do you know it’s God voice one hears”? She would simply say “you just know”. So I must been hearing from Him while quite young. But she didn’t follow God much after that. There was a mixed couple that started attending our church and my dad stopped going. So we spent our time camping and going to or having parties on the weekend. (It was the 70s after all). I would go to church on my own though. After I got married and had children my mother would press on me to take the kids to church. I finally asked “mother…when was the last time you went?”. She didn’t say anything after that. But soon after my mother went! To a drive-in church. Yeap…a drive-in church. She went alone just one time. After that my dad said he would drive her. They sat in the car with their mini doxie pretzel, while my dad read the newspaper. My mother would cringe, but the pastor told her that at least he was going. Slowly but surely he put the newspaper down and would listen. And years later, after he was saved I witnessed him tell the pastor at communion “I always knew you’d get me here pastor”. Just weeks later he died of lung cancer. But back to my mother starting to attend church after two decades. My point was that she also saw the pastor to try and mend our relationship. I give my mother credit for acknowledging our relationship would be helped if she herself got help. He told to stop hounding me to go to church. Great advice, because after she stopped mentioning it I did start going. Not as much if I had to do it over again, but I have yet to see where manipulation works. It is only God that can change a heart. And when we play the Holy Spirit we don’t always allow Him to do what He does best…draw people to God. And here’s my disclaimer. It’s not always about going to church. It is about leaning into a relationship with our creator. And asking Him what is required of us to help our children with a relationship with Elohim. Abba Father. But when I really started having a relationship with Him, it wasn’t because I felt my mother’s tug. It was a true…undefiled need that came from my soul. Prayer. (I had to state the obvious to remind myself as well)! Amend any of our sins with our creator and our children. Be patient. It may take time for them to learn to trust us if there had been issues in the relationship. I promise He will help and you will experience His goodness and mercy! Feel free to comment as I would love to know what you think! Previous Post Seek First the Kingdom…but what does that look like?